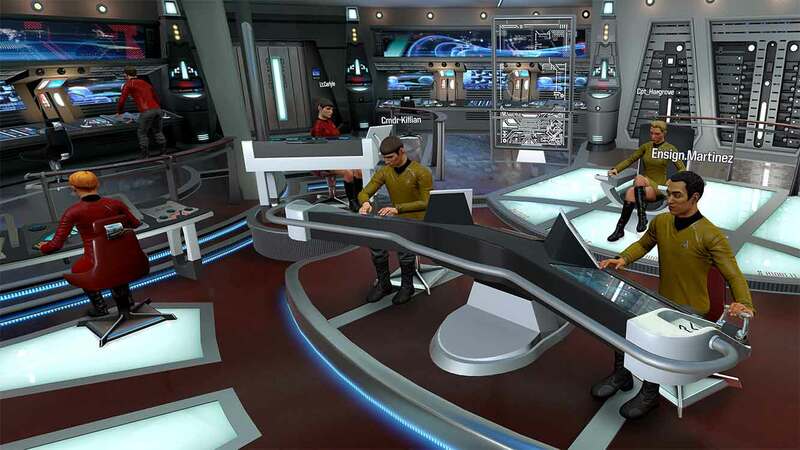 With the recent release of Star Trek: Bridge Crew, Ubisoft put out a high-budget, cross-platform multiplayer VR game, spanning Playstation, Vive and Oculus’ VR platforms. It also illustrates very well the challenge with VR as an entertainment format, and that we are currently focused on VR experiences rather than VR content or, as it were, realities. I will use Bridge Crew as the backdrop through this entry, though I recognise the patterns from other multiplayer VR games. To begin with, let’s look at how Bridge Crew plays, and the steps it takes to accommodate its medium. The game is played entirely sitting down, with no motion or walking needed, allowing for the lowest-common denominator across platforms. Additionally, the players are always permanently seated in the VR world as well, thus skipping the normal VR “teleportation” mechanic. Additionally, the default view shows a Star Trek bridge, with the external motion being limited to a window view that, for most players, doesn’t need to be viewed. This almost entirely avoids any instances of motion sickness from, well, motion. Game sessions begin from a menu. After a game mode (public/private/single player) is selected, the player is shunted off to a lobby screen and selects a mission to play. The missions are between 20 and 40 minutes long, and all take place on the aforementioned bridge. This session length format neatly sidesteps another issue with VR usage: the fatigue that inevitably occurs from having a VR headset strapped on to your face; the physical feeling of discomfort from perspiration gathering there, and the general unease that comes from the almost-but-not-quite-3D world that the eyes are straining to see. It is against this backdrop that Google recently noted that Daydream users spent a total of 40 minutes using it per week, time that was spread out “over a couple of” evening and weekend sessions. To add insult to injury, users spent more of that time browsing through the Daydream app store than using the apps themselves. If we put the pieces together, it’s not that difficult to see why. Even though things like Bridge Crew are marketed as complete games, and placed on the same theoretical pedestal as Call of Duty, they are very different beasts. Bridge Crew gives the experience of being on a bridge. This is like going to Universal Studios and “visiting” Hogwarts. An impressive experience, and exquisitely crafted (the comparison may be even more apt with Batman Arkham VR), but once you have seen the roller coaster there is little left to discover. 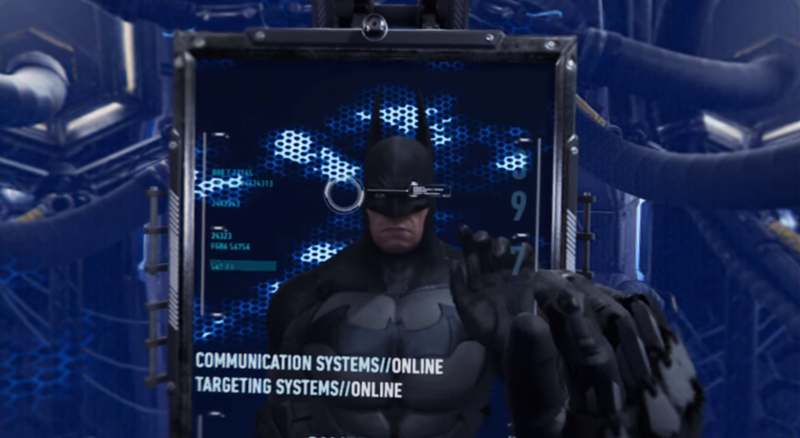 Unlike regular games, VR games do not allow users the time to “hang around”. When playing Bridge Crew, if a user cannot find a game session in a few minutes, that’s way too long. When playing desktop games, it is far easier to pause, do other actions, take a break, or even grab some snacks. VR demands full attention from the user, and nothing less will do. Also, from a departure from regular games, VR content has yet to graduate past the novelty factor. Instead of VR being used to enhance the story or entertainment, we are left with VR itself being the story and entertainment, and what would usually take the place of the core entertainment mechanics is, at best, window dressing. There are two reasons contributing to this. First, VR is not a “jump in” type of experience. There is a high hurdle right now to entice people to use it, and the way to do so – the chosen way to – is by making VR attractions. Bridge Crew is an excellent example there, and I will readily admit that I have taken this attraction, and it is very compelling as a roller coaster ride. However, once you’ve ridden the coaster, the novelty is off. Sure, you might hit a few more rides, but if that’s all there is to it, there is little reason to come back. Second, VR is a taxing experience. Much like few people would want to stay on a roller coaster again and again and again, VR sessions have a natural end when people merely wish to be free of the headset that is making their face feel warm. This, again, plays in to Bridge Crew’s 40 minute sessions; any longer, and they may risk people dropping off mid-session. The sum then becomes that VR is a high barrier of entry engagement, takes time to set up, cannot be used in long sessions, and has little compelling reason to return there. So it should not be surprising that Google is looking for the VR killer app, but what would it be? 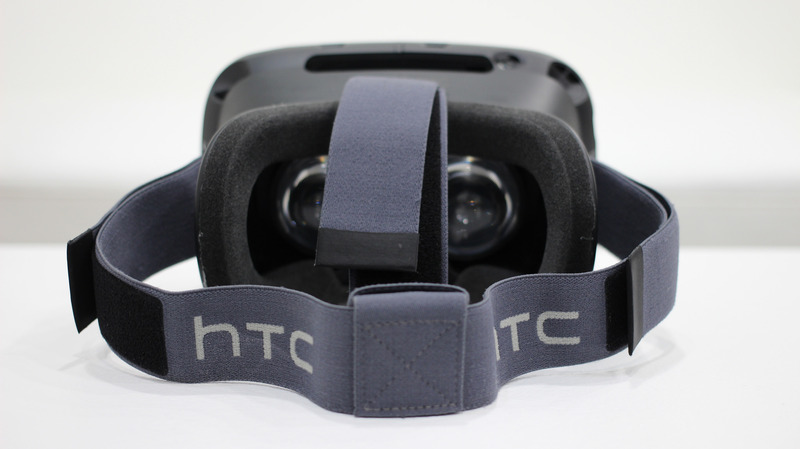 Putting aside the long term VR aspect, there are indeed compelling reasons for VR today. While it may sound like the experiences are a dead end, that is a far cry from it. I have no doubt in my mind that VR will sell nicely as an experience add-on; just imagine the money that people would freely give for A Day in the Life of a Hobbit VR simulacrum of Hobbiton. However, these things do not exist in a vacuum, so we must rather consider what comes around. One of the key features of VR going forward will be the ability for people to “jump in”. There is no doubt that VR brings unparalleled immersion to remote interaction. Indeed, Bridge Crew’s simulated bridge certainly makes it feel like four people are sitting right next to each other, when in reality they can be in their own separate corners of a continent. What is missing from the picture is the surround; the world, or lobby is not compelling; people cannot wait around in VR; and the experiences themselves are shallow except when running. So, to continue the analogy, we need the amusement park to keep us happy as users until it is time for the ride. Perhaps a movie is playing, and we reach a 360 video segment. Perhaps we have been preparing for a battle in an MMO, and, when everyone gathers, they don their VR helmets and go. Or perhaps I was just waiting for a friend to come online. Right now, meeting up in VR is a cumbersome, long-winded process. But for VR to become a thing, it can’t be. I shouldn’t have to play around with a VR app launcher when I already have a serviceable one elsewhere. Typing on a virtual VR keyboard is just tedious. And why invent VR matchmaking when we have perfectly serviceable ones elsewhere? No, my VR content should be ready for me when I don my headset. And the process of donning the headset itself should be fast and simple. The headset should remember all adjustments needed for my head (in case I’ve shared it) and adjust automatically. So, when time comes, I can slip it on and I’ve reached the experience already. Let’s call it Five Seconds to VR.